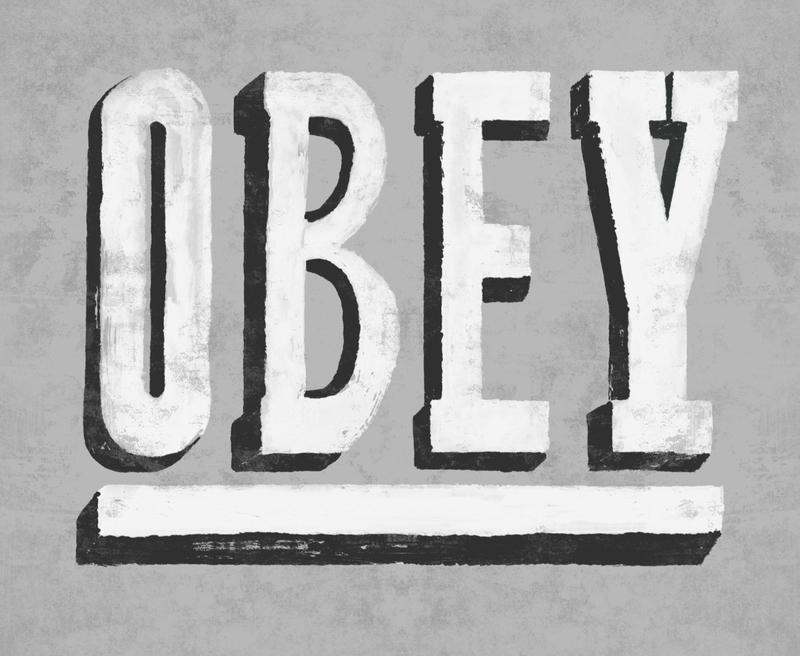 This is a piece design I did for OBEY Clothing made to look like one of those odd vintage hand painted signs you might see back in the day. 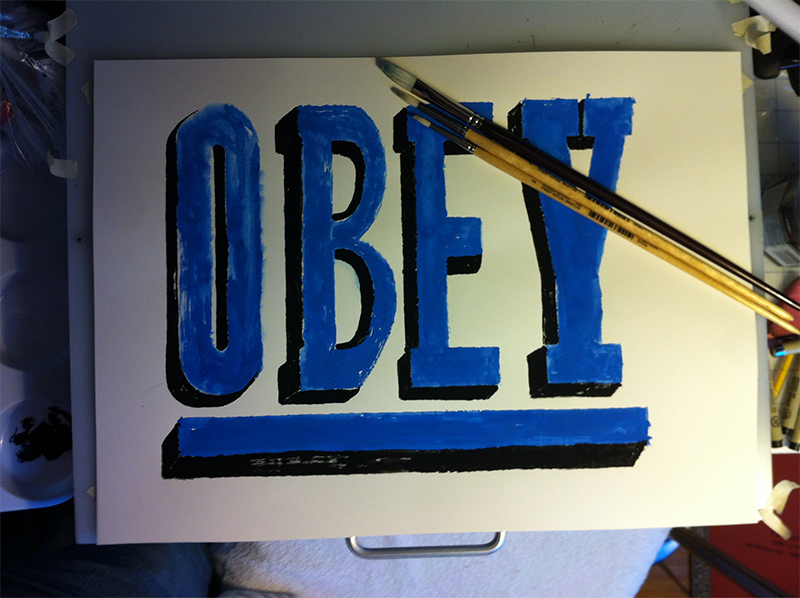 I used an old sign for reference. 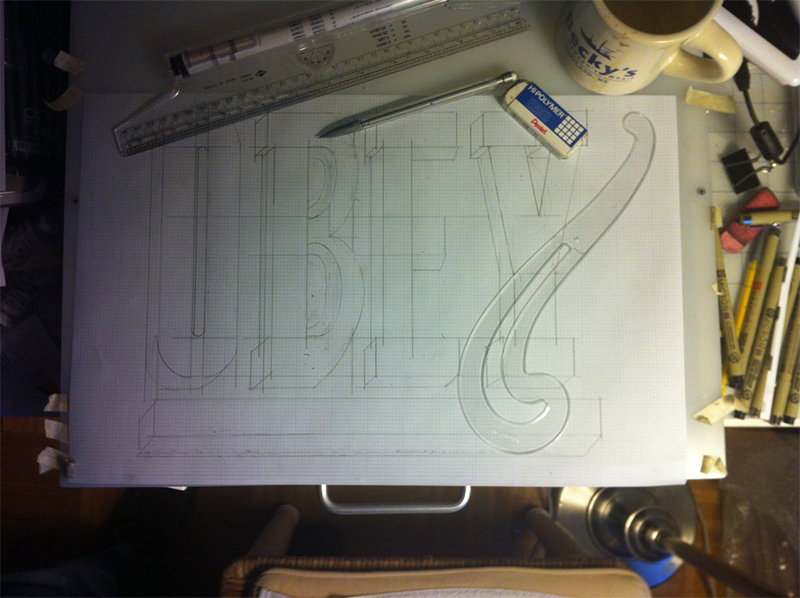 It was hard not to do the letters in proper form but that's not what the piece called for. It wouldn't have been authentic. 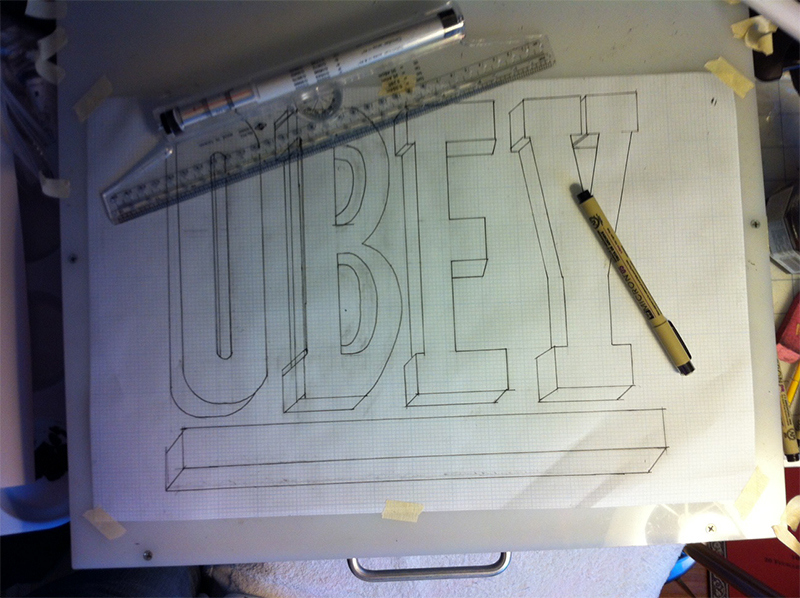 This is a piece that I did for OBEY Clothing to emulate an old painted sign with odd shaped letters for a tee design.